You don’t need a scientist to tell you that a good night’s sleep is important to your health. Your body tells you that every time you try to climb out of bed after a late night. 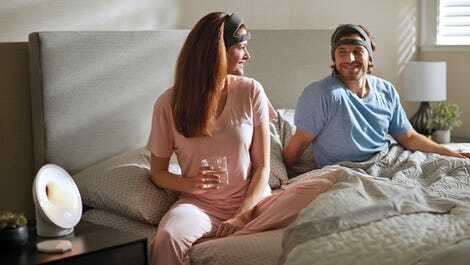 So to help maximise what sleep you are able to get, Philips has created a headband that plays special sounds designed to encourage your brain to remain in its most restful deep sleep state. Deep sleep is also commonly referred to as slow-wave sleep because while you’re dozing, the electrical activity in your brain slowly rises and falls as neurons take a moment of rest, followed by a moment of over-excited activity. Researchers believe that slow-wave sleep is when the brain is able to fully process and stores memories, but it’s also a time when the brain can finally take a breather and recover from the day’s mental activities. That’s why it’s so hard to focus the next morning after a short or disruptive night’s sleep. What does any of that have to do with an awkward-looking headband you’re supposed to strap to your noggin before climbing into bed every night? 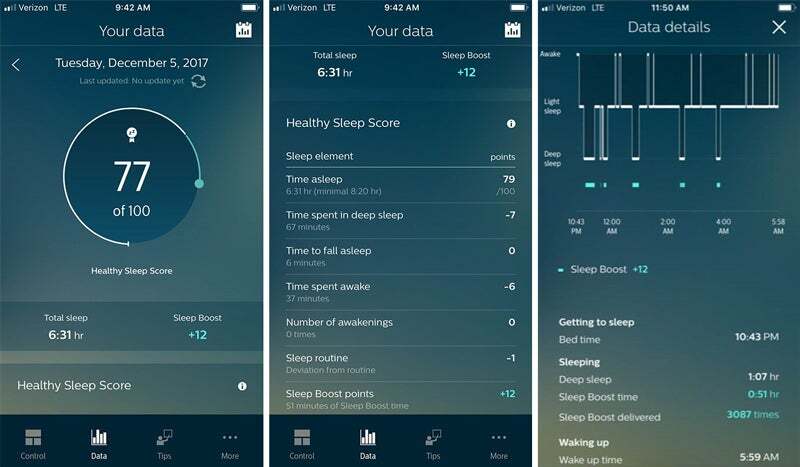 Philips’ new SmartSleep uses built-in sensors touching your forehead and behind your ears to monitor your brain activity and share that data with an accompanying mobile app. 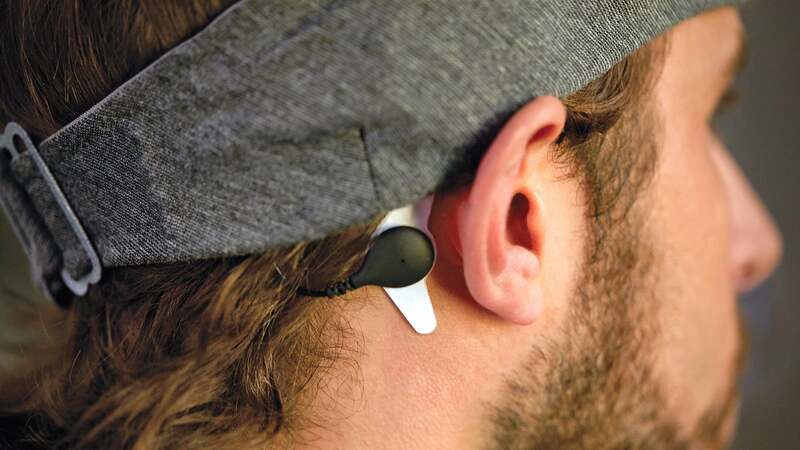 When deep or slow-wave sleep is detected, the speakers in the headband play a subtle white noise in a repeating pattern that matches the rise and fall of your brain activity. The noise, which is quiet enough to not wake you, and staggered so that you don’t subconsciously tune it out, supposedly serves to reinforce that deep, slow-wave sleep activity, maximising the amount of rest and recovery your brain is able to get overnight. The SmartSleep headband does sound like it’s bordering on snake oil, but a study published in Frontiers in Human Neuroscience earlier this year found that soothing sounds do help to foster and maintain deep sleep in adults, which in experiments served to improve cognitive and memory capabilities the next day. CES 2018: Le Slide Lets You Add Two Extra Screens to Your Laptop, But It's Not Cheap.